District 81 Spring Conference was held in the beautiful twin island of Antigua and Barbuda under the theme “Unlock Your Potential.” The conference ignited the Toastmasters flame and the flame for life itself. Speaker of the House of Representatives, Hon D Gisele Isaac-Arrindell, delivered the keynote address at the opening ceremony on the night of Friday 17 May, the highlight of which was a call to action to those who “know better but sit back and allow those that don’t know jack, to run the country.” In other words the talented ones and indeed those who should be in power are not. This analogy could be applied to our many institutions and groups around the region as many who certainly “know better” have sat back too long, too far. Toastmasters from Grenada who were at the Conference heeded the cry of the keynote speaker, starting with Distinguished Toastmaster (DTM) Dawnette Calliste who was elected to the position of Lt Governor Education and Training (second ranking office in the District). DTM Dawnette Calliste led District81 to President’s Distinguished District in her marketing portfolio – paid clubs and membership payments. Bringing the District to Ranking#1 in the Region 8 in both categories (Region 8 consists of 9 Districts). Competent Communicator (CC), Cherryl-Ann Boca-Bethel followed suit, as later in the day she participated in the International Speech Contest and placed second, out of the 13 participants. Advanced Communicator Bronze, Advanced Leader Bronze (ACB, ALB), Lyndonna Hillaire-Marshall, current Area Governor for Grenada, delivered a most inspiring presentation on Personal Development. She also received her credentials as a District 81 trainer, having successfully completed the District Train-the-Trainers Training Course. All three ladies unlocked their potentials and refused to sit back. The call to action will cascade to all members of the different Toastmasters Clubs in Grenada –Toastmasters from Spice Isle, Grenada Gems, Conception, Rainbow City and Kayak Toastmasters Clubs, to unlock their potentials. 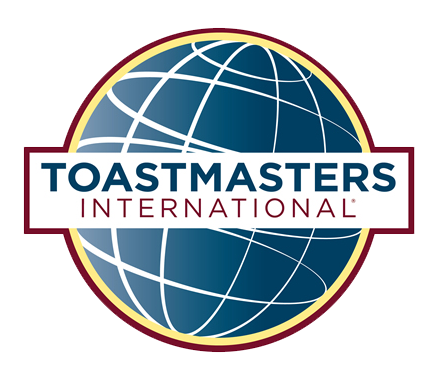 So too the prospective members of the two clubs soon to be chartered, Grenada Public Service Toastmasters Club in St George’s and the other in St Patrick’s, sponsored by Grenada Gems and Rainbow City Toastmasters Clubs respectively. All five clubs in Grenada forms Area 28, which is a part of Division F, which in turn forms part of District 81 comprising of 132 clubs in the Caribbean. Grenada Toastmasters celebrate and congratulate District 81, Division F Area 28 and Conception Toastmasters Club for the outstanding performances for this Toastmasters year, attaining President Distinguish recognition – an award from Toastmasters International (TI), which is the most prestigious of TI recognition programme. Area 28 also congratulates its two incoming Area Governors for the upcoming Toastmasters year 2014/2015: TM Karen Pascal ACG ALB and TM L Samuel Pierre CC CL, both of whom were also present at the District 81 Spring Conference. They will lead the Toastmasters organisation in Grenada into unlocking its potential. As a result of the organisation’s growth, Grenada as a territory is now divided into two Areas, 31 and 32.